Update, January 17: The viewership figures for the first week of the Overwatch League are out, and they’re higher than we thought. The opening week of the Overwatch League attracted more than ten million viewers. Viewing figures from Activision say that concurrent viewers for the first four days of the Blizzard’s new esports scene peaked at more than 430,000. Here’s how to watch each stage of the Overwatch League. Those are some big numbers, but they’re actually reasonably likely to be lower than the number of people who actually watched the event. The 10 million viewers relates only to unique users, and doesn’t include people at viewing parties, while the peak concurrent figure doesn’t include viewers from China, meaning both figures are, in reality, probably significantly higher than Activision report. Kevin Lin, COO of Twitch, says the figures bode well for the ongoing state of the competitive scene; “based on the response from the community, Overwatch LEague is off to a great start and we look forward to watching how the season progresses. This league demonstrates the power and potential of esports, and we’re thrilled to continue expanding our partnership with Blizzard.” The first OWL season will run until June. 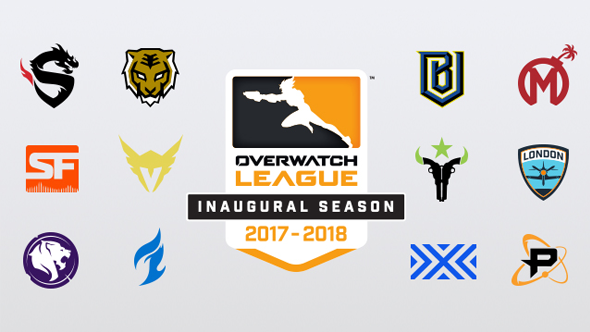 Original story, January 11:Last night saw the first round of the Overwatch League, Seoul Dynasty vs Dallas Fuel, and by all accounts it was a big success, drawing in hundreds of thousands of viewers. According to esports figure Ben Goldhaber, the first night of streams peaked at 415,000 viewers. Particularly impressive about these numbers was that the games were taking place at pretty unfriendly EU hours, yet the streams still brought in big viewer figures. For instance, on the English stream, the peak numbers during the first match was 387,000. These numbers also don’t include Chinese viewers, anyone watching on the MLG stream, or people watching on the official phone app. Considering the MLG stream and phone app produce a higher quality, higher bitrate feed, that could mean there are many additional viewers we aren’t able to track. The numbers also held pretty steady through the night, with the English stream only going as low as 275,000 – when Dallas Fuel were getting stomped by the Shanghai Dragons. It’s not such a surprise the event attracted so many eyeballs, the Overwatch League has had a huge PR push over the last 24 hours. Still, it’s a great start to the new event and it’s set a high watermark for subsequent days to aim for.